The new model Destination 01 by Swiss watch company Hautlence is presented in a case of titanium with DLC-coated. Waterproof up to 30 meters, the case has dimensions of 43.5 mm x 37.0 mm x 13.0 mm. The bezel, lugs, crown and screws are made of 18-carat pink gold. At the 3 o`clock position is set the fluted crown. On the top the case is equipped with an anti-reflective sapphire crystal, which is also located on its screwed back cover made of titanium with a black DLC- coated with engraving HAUTLENCE, Horlogerie Suisse and Destination 01. The black dial with guilloche in the center is equipped with applied Arabic numerals and hour markers made of gold. Central hands and the day / night indicator is covered with white luminescent substance. The date is indexed on the corresponding digital display, built- in double aperture at the 12 o`clock position. The round indicator with 12-hour markings of the second time zone is placed at the 6 o`clock position, and the indicator of the day / night is set between 7 and 8 o`clock positions. The model is based on the Swiss automatic caliber Soprod 9351/A10-2, on the 25 jewels. The caliber has a balance frequency of 28,800 vibrations per hour (4 Hz) and a 42- hour power reserve. The caliber is perfectly decorated and adorned with the Côtes de Genève ornament. The Destination 01 watch comes on a black alligator strap. 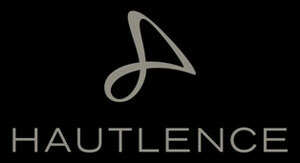 To buy the Destination 01 watch is possible through the official representatives of Hautlence.